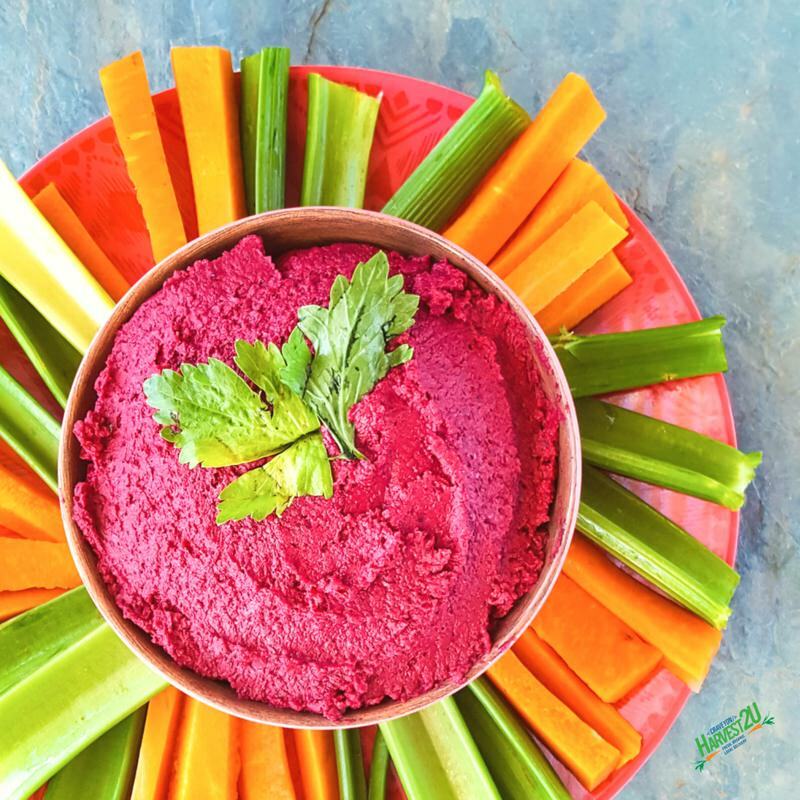 This easy organic Beet Hummus recipe whips up in 5 minutes and makes a lovely and healthy dip for vegetable sticks or chips or any other way you enjoy your hummus. The beets are high in fiber, vitamin C, potassium, and manganese, add to that some fiber and protein in the chickpeas plus healthy fat from the olive oil and you have a colorful powerhouse snack. Don’t discard the liquid from the chickpeas. Three tablespoons of the liquid (dubbed Aquafaba) can be used as a vegan substitute for one egg in many recipes. Cook the beet by boiling or roasting, peel and cut into large chunks. Drain most of the liquid of the chickpeas (save it for an egg substitute if desired). Zest the lemon and save half of the lemon for another recipe. In a blender or food processor, combine beets, chickpeas, lemon zest, juice of 1/2 lemon, garlic, tahini, and cumin. When the mixture resembles a smooth paste drizzle in the olive oil with the machine running. Add additional oil or chickpea liquid if it seems too thick.